It’s not just industry and corporations that are undergoing massive change due to digital transformation—governments worldwide are being equally affected by the need to create more efficient processes and to provide online services to citizens. With 28 member states and three branches of government, the European Union (EU) is a prime example of just how complex transformation can be. We spoke with Roland Genson, Director in the General Secretariat of the Council of the European Union—one of the EU’s three branches—in advance of The Open Group Paris 2016 event (October 24 – 27) about the challenges the Council is facing and how they are working with the two other branches of government to achieve interoperability and Boundaryless Information Flow™. What is the role of the General Secretariat of the Council (GSC) of the European Union? What sort of services does the Council provide? In a nutshell, in the legislative process level at the European Union you have three institutions. The most known to the public is the European Commission, which has a role to make proposals and draft new legislation and submit it to the two co-legislators. On one side there’s the European Parliament where you have directly elected parliamentarians and on the other side, the Council of the European Union—that’s us. In the Council of the European Union you have the 28 member states represented, much like, for example, if you look at the U.S. Congress, you have the House and the Senate. As the General Secretariat, we are supporting those 28 member states in the negotiation process, meaning providing conferences, logistics and policy advice but also managing and circulating all the information they need to work in 24 European Union languages. Why has the GSC undertaken a digital transformation? What led to that and made it necessary? If we look back at the past, until 2014 all the institutions had their own IT strategy, their own development and so on. But today with digital transformation it’s more and more obvious that we need a fit and interoperability framework. In most of the 28 member states you have e-Government initiatives and digital transformation processes ongoing, and we are in the middle of those. We cannot just look around us and find solutions that are competitive with everyone. We believe that we have to work together on common standards and interoperability frameworks to make sure that we are able to connect to all 28 members, to connect to the other institutions, the Commission and the Parliament, otherwise it will be impossible for us—and for them—to work efficiently. What are some of the challenges that the GSC is facing as part of the transformation? I see at least three challenges. The first challenge is an internal one. Within our organization we need seamless information flow between all services. That’s the first place where boundaryless needs to kick in to get rid of existing silos, to eliminate disruptions between services. The second challenge is “Brussels-based,” which means the need to have Boundaryless Information Flow between EU institutions. When a proposal comes from the Commission, it should enter into the Council and the European Parliament without any new disruption or without any data or format conversion. Our target should be an end-to-end legislative drafting and negotiation process between the Commission, Council and the Parliament. The third challenge is to become boundaryless with regard to the GSC’s main stakeholders, which are our member states, so that we are able to serve all 28 member states (MS) with standardized content that can immediately be used and linked within each MS subject to national needs, specifications or legal requirements. Furthermore, as an additional challenge, we also have responsibility with regard to the European citizens, so public information that our organization deals with can easily be made available and understood for further analyses and exploitation by the interested citizen. It’s our challenge to get EU knowledge out to the civil society. How are those challenges being addressed as part of the project? How long has your transformation project been going on? I took over the responsibility for this newly created directorate in 2014 with a clear shift from IT to business outcome or value. A lot of organizations had gone on the same path where, until a certain point, the digital environment was mainly designed by IT departments. We really have now a situation where the business needs and expectations come first. Internal clients and our stakeholders outside are our first priority and on the basis of their perspectives we should see what standards and subsequent IT solutions allow us to get there. We started this business driven process in 2014. Moreover my concern was to have it immediately started together with the other institutions, because it doesn’t make sense for the Council alone to try to find a way for “its” future when the European Commission and the European Parliament have the same challenges. I believe progress made on interoperability solutions for European public administrations (ISA) is equally a valid framework for all institutions to set the necessary standards. And with the European Interoperability Framework, the EIF, we would also have another basis for the GSC’s digital developments. Though we started late in 2014, there are quite a number of approaches, standards and tools that we can take on board and consider as viable options for the future. Are standards being used to address the challenges of the project? Absolutely. For example, today we write all of our structured documents on a MS Word-based tool, specifically designed for all our services. Today, this doesn’t make sense anymore. We understand that all the content drafting shall be XML-based, and when discussing with the Commission and the European Parliament, we understand that for legislative process marking, AKOMA NTOSO is the right standard, which leads us to explore the market, where common standards have already been shared and explored by other communities or organizations. What role is Enterprise Architecture playing in your transformation? Our task today is to get all key business processes designed and documented—getting a clear view on this and assessing them according to corporate’s strategy, priorities and challenges. As mentioned before, it’s rather complicated in the sense that we have to get it aligned in-house, but also with the Commission and the European Parliament and eventually with the member states. Somehow we have to find the best and easiest standard and operating model to get there. What I would like to avoid is to set up a new set of processes which would be too rigid and would not allow us to meet the necessary flexibility some services might need. What advice do you have for those undertaking digital transformation within government? What do people need to think about when they’re working with government entities as opposed to corporations or businesses? The General Secretariat of the Council is probably one of the smallest organizations in Brussels but when we look at the “Council” and the “European Council,” the two institutions we serve, the challenge ahead is quite impressive. We have to serve hundreds of ministers plus a community of national officials, front line delegates and back office support, which easily covers more than 200,000 people. Obviously we cannot enter into negotiations with 28 member states to see what would be the best standard or framework but we cannot ignore that things are going on. What we try to do is to identify digital champions and undertake a number of exchange of views to see what to move on. As an example, we had a visit to Austria, as the Austrian government is already far advanced in digital transformation. We will have next year the Estonian presidency for the European Union. Estonia is also a digital champion, so we will try to learn from their experience and take advantage of their presidency in order to launch new services and test to see if things meet the needs of most member states. If not, we will swiftly adapt and explore something else. It will be a different, an experimental approach. We need to engage with Member States and vice versa, to trigger a greater awareness of what delegations would like to achieve in terms of content and knowledge delivery. What role can standards play in helping government with transformation efforts? For me it’s rather obvious, that if we agree on the same standards in our organizations, all stakeholders would know what the criteria would be, for example when launching a public procurement. It would make multilateral interactions a lot easier. We would not just look at one specific tool or software and see what is compatible, we’d just refer to the standards as a basis. Everyone would know about that standard and subsequently be ensured that products based on that standard are interoperable, are compatible with the institutions or with my neighbor states. Standards also offer semantics. We work in 24 languages. If we want to be sure that one terminology is always used in the same way in different languages, we also need to invest a lot in semantic interoperability. What standards are you looking at or currently using? We plan to use TOGAF®, an Open Group standard, in close collaboration with our colleagues on the IT-side for business process management. We want to have a well-documented process map of the organization to allow this smart integration, interoperability and processing of the information. It’s the business architecture part of TOGAF. Are there other things that governments need to consider when doing transformation projects? In my view, what is crucial is to have a genuine engagement of all stakeholders at the highest level.. The three Secretary-Generals from the European Parliament, the Commission and the Council expressed their commitment in this respect. To make the expected progress, we equally need a full commitment by all Council members, e.g. national delegations. So we will learn from them and they will learn from us and we will be able to achieve results together to transform our organization. For me, this is crucial. It’s a change in the mindset, but we need to adapt to be able to quickly exchange best practices, lessons and failures, as a way to make progress. Roland Genson is director at the General Secretariat of the Council of the European Union, in charge of the Council’s document processing, recording, archiving, transparency and of the GSC’s libraries. He drives the redesign of the GSC’s knowledge and information management in order to align the organisation with digital innovation and with Member States expectations in this respect. Until 2014, he was a GSC director covering Schengen, judicial cooperation and internal security cooperation under the Justice and Home Affairs policy framework. From 1987 to 2007, he served in the Luxembourg law enforcement sector and than at the Ministry of Justice. He is also a lecturer at the Universities of Luxemburg and of Liège. 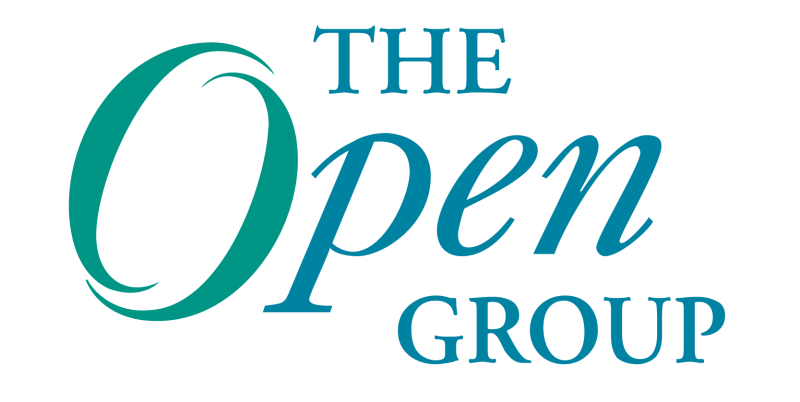 Mr. Genson will be a keynote speaker at The Open Group Paris 2016 event on October 24.